The Kreg Jig K5 Master System (Item# K5MS) combines an advanced Kreg Jig with premium accessories. 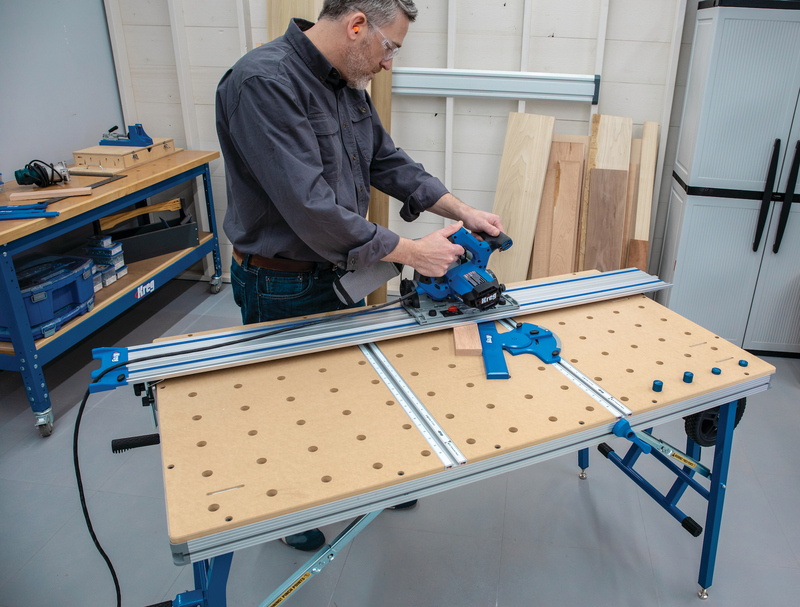 The Master System includes the Kreg Jig K5, plus a 3" Automaxx auto-adjusting Face Clamp, a Portable Base, and three downloadable project plans, each with two design variations. The Automaxx Face clamp with auto-adjust technology is designed to simplify project construction by allowing users to clamp pieces of varying thicknesses without the need to adjust the clamp, says Kreg. It has a 3” reach and 2-1/8” capacity and is a companion to the racheting, tool-free workpiece clamp on the Kreg Jig K5, adds the company. The Portable Base streamlines set up of the K5 Drill Guide Block for portable building and making repairs. The Jig comes fully assembled and is ready to set up and use, adds the company, and it features a built-in swiveling dust collection port, which accepts a standard 1-1/4" vacuum hose. 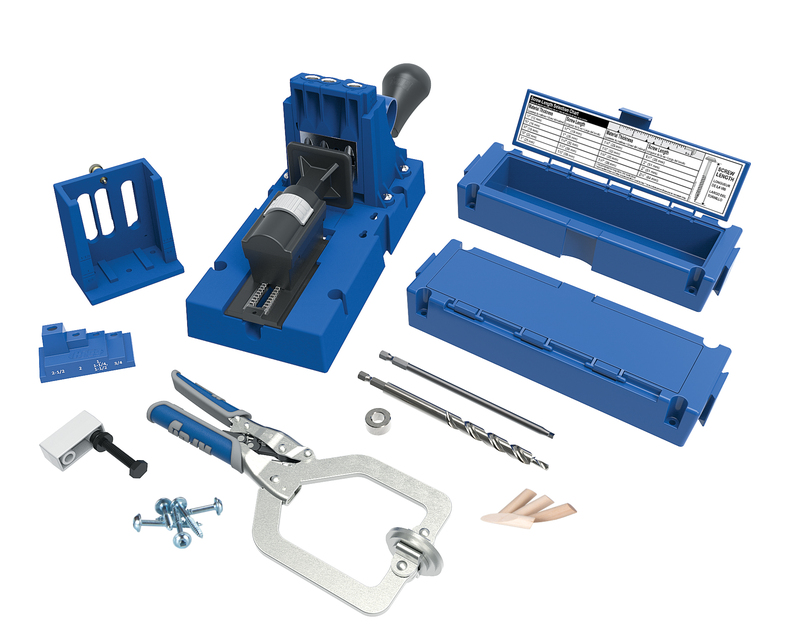 Items featured in the box include the Extension Wings with Storage; Ajustable Workpiece Stop; Stepped Drill Bit and Stop Collar; Stop-Collar Setting Block; 6” Square-Drive Bit; Screw Selection Chart; Starter Screw and Plug Set; User Guide; SkillBuilder Booklet; Automaxx 3” Face Clamp; Portable Base; Plan Download Codes along with the Kreg Jig K5 and the Standard Drill Guide Block. 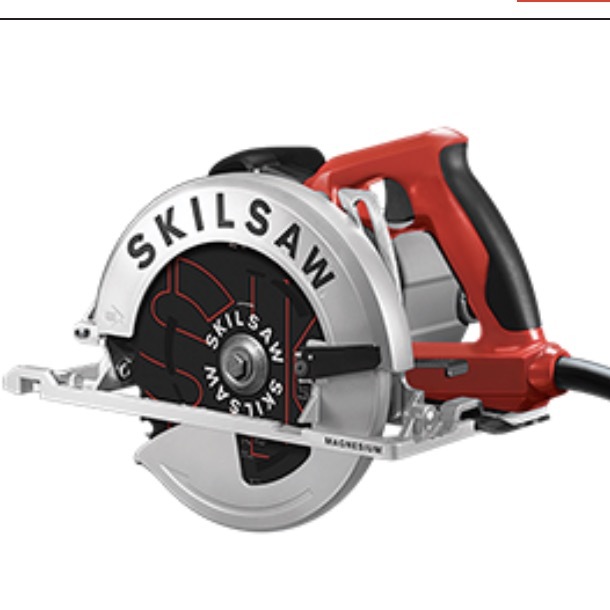 The Kreg Jig K5 Master System will be available in September 2015 for $169.99 (U.S.); $211.99 (Canada).